Location: Chris Jolly Outdoors is situated in Taupo, New Zealand and is renowned for offering the best hunting, fishing and recreational outdoor adventures in New Zealand. About your host at Chris Jolly Outdoors: Team, Chris Jolly Outdoors. Chris Jolly Outdoors have been operating on and around Lake Taupo for over 30 years. This is a family run business that is dedicated to Escape… Explore… and Experience… Our most popular offering is our daily scenic cruises, where you can take in the spectacular view of Lake Taupo and the majestic mountains of the Tongariro National Park as you cruise to the famous Maori Rock Carvings at Mine Bay. Our selection of charter boats for up to 140 people provide a superb choice for water based activities such as private cruises, trout fishing charters, weddings, conferences, incentive groups and social functions. We also specialise in creating bespoke packages for guided hiking, fly fishing, hunting, helicopter wilderness experiences and scenic excursions around the Great Lake Taupo region. Hunting and fishing experience at Chris Jolly Outdoors: Here at Chris Jolly Outdoors, we are proud to be able to offer some of the best authentic New Zealand hunting experience for trophy and free range stags. Hunt exclusively and safely on 10,000 acres of native bush situated at the southern end of Lake Taupo. Surrounded by the Tongariro National Park, this is true hunting New Zealand style. All hunting is on a guided basis with a maximum of two hunters per guide. We supply all ground transport, guns and ammo upon request. Click here for quick link country guide. 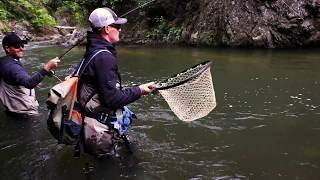 The North Island of New Zealand and Taupo specifically provides some of the most spectacular fly fishing in the world. Chris Jolly Outdoors’ specialist fly fishing guides have the local knowledge and expertise to show the experienced angler how and where to fulfill their dreams of catching a Rainbow or Brown Trout. 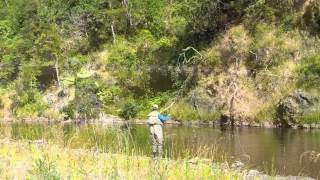 Whether you’re a novice or long-time fishermen you’re assured of an enjoyable Taupo fly fishing experience. Click here for quick link country guide. To select and book the top suggested hotels and accommodation in the area when hunting at Chris Jolly Outdoors click here. by car or public transport to Chris Jolly Outdoors.